Today I am thankful for the New England Historic and Genealogical Society. Through the organization’s many journals that were available at my local library, I was able to learn many details about my colonial New England ancestors. Not only did my library have recent journals, but had bound volumes dating back to the mid-19th century. Bradstreets, Stanwoods, Wasgatts, and more, were contained therein, and the information gleaned from those many journals provided the frame work for my research in the 20+ years that followed. 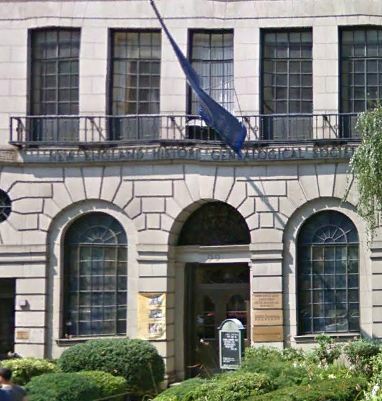 Our 8-story research center, located in downtown Boston, is one of the premier genealogy centers in the country, housing more than 200,000 books, 100,000 microforms, and more than 2 million manuscripts and family papers. In total, there are more than 20 million documents, artifacts, records, diaries, journals, books, photographs, family papers, bibles, and other items dating back more than four centuries. This incredible collection offers a wealth of information that is simply not available anywhere else. Thank you, New England Historic and Genealogical Society, for your dedication to preserving the history of our nation. This entry was posted on Sunday, April 1st, 2012 at 12:24 AM	and posted in 52 Weeks of Abundant Genealogy. You can follow any responses to this entry through the RSS 2.0 feed.